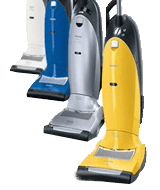 Want The Best Central Vacuum Systems For The Best Prices In South Florida? Gator Vacuum In Coral Springs, Fl - We repair & service all major Brands and models. Gator Vacuum is an A+ Rated and Certified and Accredited Business Trusted by the Better Business Bureau (BBB). Gator Vacuum sells every part and accessory required to repair your central vacuum system! If you have any questions about central vacuums or would like to speak with a trained and knowledgeable specialist, please, don't hesitate to call us at 954.341.4323. Once we have discussed the details of your central vac repair or installation, a certified technician will be scheduled & dispatched to your home in South, Florida. Big or small, we'll take on the job. When fast service is needed; call Gator! We install, service, and sell all the major central vacuum brands. Some central vacuum system repairs simply require a replacement motor, relay, transformer, or central vacuum power unit. We come to every job site with a stocked truck including supplies such as hoses, attachments, motors, power units, etc. Need us to come out right away? No Problem! Problems with your central vacuum system? Lack of suction, clogged hose, burning smell? We can fix it all! Gator Vacuum & Sewing Co. is one, if not the largest Central Vacuum Repair and Central Vacuum Installation facilities servicing South, Florida. We've provided central vacuum sales & services for over 5 decades all while bringing years of knowledge and experience to every central vacuum repair or installation we do in South, Florida. Certified technicians on duty. No Suction • You Begin to Lose Suction • Your Vacuum Hose is Clogged or Clogging More Frequently • Burning Smell Coming from the Motor • Your Vacuum Will Not Start • Your Vacuum Will Not Stop • Broken Attachments or Brush Roller • Excessive Hair Preventing Moving Parts from Functioning Properly, etc. Built-In Vacuums are more powerful than the traditional canister & upright vacuum cleaners on the market today. They combine powerful suction and ultimate filtration, to remove dust, dirt, and other allergens from your home. Unlike a traditional vacuum cleaner, central vacuums exhaust the dust outside of your home leaving providing the cleanest indoor air. When Central Vacuum Units are mounted in a garage, basement, utility area, not only is the dirt trapped in a far-off place but so is the noise! With a central vacuum system, a lightweight hose is easy to carry from room to room, up & downstairs. No heavy canisters or upright vacuums to push and pull around your home. Besides the convenience and powerful performance it offers, a central vacuum system is a valuable addition to your home investment, adding to its sales appeal and resale value. 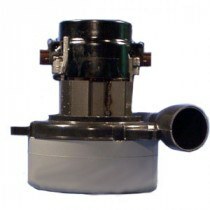 An In-Home vacuum unit is easy to install in new or existing homes. Central Vacuum Systems offer buyers a quieter, cleaner, healthier home by removing more pollutants from the home a traditional vacuum cleaner. The money invested in a Built-In vacuum is considered by home appraisers to increase a home's value. With multi-direction central vacuum connections, these systems can be installed on any wall and in smaller spaces with a bracket mount for safe and simple installation. Offers exceptional value to your builders & homeowners!